Corporate misconduct has been firmly on the political agenda in recent months, writes Michael Milnes. The ongoing Royal Commission into Misconduct in the Banking, Superannuation and Financial Services Industry is continuing to attract daily headlines, and questions have been asked in the media about whether the regulator, the Australian Securities and Investment Commission (ASIC), should have been taking a more robust approach to enforcement. For another regulator, the Australian Competition and Consumer Commission (ACCC), pursuing criminal cartel conduct continues to be an “enduring priority” and this year has seen high profile criminal charges being brought against former executives of ANZ, Citigroup and Deutsche Bank. Elsewhere, new legislation to broaden the scope of corporate bribery offences in the form of the Crimes Legislation Amendment (Combatting Corporate Crime) Bill 2017 is also currently passing through Parliament. One tool available to regulators to uncover corporate wrongdoing is their power to undertake unannounced searches and seize documents: the “dawn raid”. Compared to some countries, dawn raids have been quite rare in Australia, but when they do happen, events unfold quickly. Important decisions must be made on the spot and without the luxury of time, so all eyes are on the general counsel and legal team. Get the response wrong and there’s the risk of disruption, loss of staff morale and productivity, and damage to the reputation of the company in the market – and that’s before the regulator has made any allegations against the company. At worst, there could even be criminal charges for those accused of trying to obstruct the search. When faced with a dawn raid, legal teams need to have quick access to up-to-date and reliable information about the powers that different regulators have in each jurisdiction and know exactly what practical steps should be taken as the raid unfolds. Some of the larger law firms have developed apps that provide this type of information for their clients; in the UK, one in-house legal team at Royal Mail has developed its own app to put the right information in the hands of frontline managers. Prepare a response plan. This should include details of the company’s protocol so that all members of the in-house legal team know what to do as well as key information like contact phone numbers. Provide training for senior management, members of the legal team and frontline staff, such as receptionists, on what to do and even rehearse the plan. Make a meeting room available for the investigators away from public areas. Check and take copies of the search warrant and the inspectors’ identity cards. If your company uses external lawyers, ask if the search can be delayed until those lawyers have been contacted and are able to arrive at the premises. Ask if an announcement can be made to notify staff what’s happening. This might be an email, or staff being invited to a meeting. Staff should be told to cooperate and not attempt to conceal or destroy any documents. Consider whether routine document destruction should also be put on hold while the search unfolds. Make sure nobody attempts to obstruct the search, but that the inspectors are monitored as they go about their search. The search might occur at different locations at the same time, so several senior employees or lawyers may be needed to observe what’s happening. Advise staff that they should answer questions, but should do so briefly, factually and accurately. If documents are subject to legal privilege, ask if they can be withheld or, at the least, kept separate until their status can be resolved. Hold a debrief meeting with the senior management team to review what has happened and determine the company’s next steps. Communicate with staff about the search and make a public announcement, press release or market announcement about the company's position. A dawn raid can be a stressful time for any business, but general counsel and legal teams who know what to expect and are ready to respond confidently will be able to minimise the disruption and quickly get the company back to business as usual. Michael Milnes is the head of commercial and competition law at Practical Law Australia. 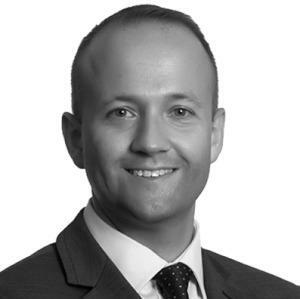 Before joining Practical Law, Michael worked as in-house counsel in the FMCG supply chain sector and at leading law firms in the UK, Europe and Australia. He has a broad range of experience advising on commercial law, consumer marketing, technology and strategic corporate projects and the management of legal service delivery. He holds an MBA from a leading UK business school, which included research and study of topics such as legal procurement, e-business and technology, automation, strategy and finance. Why does this law firm exclusively hire for in-house experience?